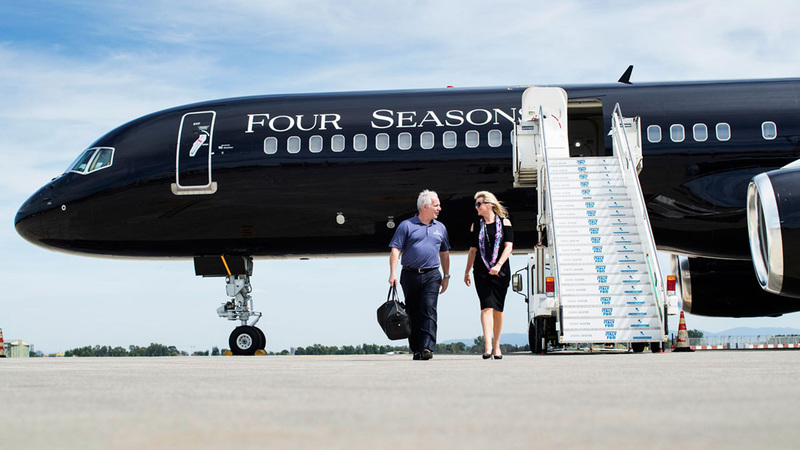 Four Seasons is taking its service standards to the skies with the launch of the ultimate brand experience, a custom-designed around-the-world holiday experienced by private jet. 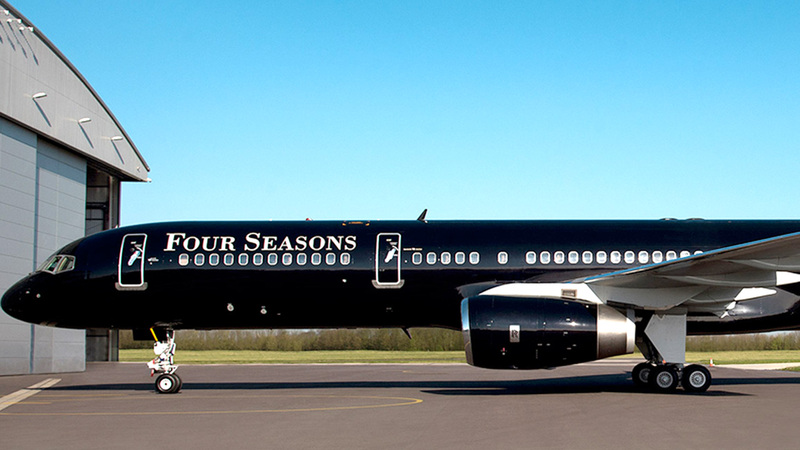 No longer content with offering unique experiences via its collection of hotels and resorts, The Four Seasons Jet Experience is a custom-designed luxury holiday complete with personalised itineraries, five-star hotels and the Four Seasons Jet, all for a mere USD $132,000. The strategy is to take Four Season’s exceptional service and luxury to 35,000 feet and add air travel and holidays to the brand’s hotel and resorts experiences. “Experience a lifetime’s worth of adventure in one spectacular voyage. Our exclusive itineraries travel to amazing places at every corner of the globe—taking you to secluded islands, urban centres alive with culture, and everywhere in between. Climb aboard and see the world in a remarkable new way. Four Seasons offers a range of Around The World journeys providing passengers with luxurious ways to experience “the world’s most fascinating destinations” including The Taj Mahal, Chiang Mai, Serengeti, The Maldives as well as travelling to Istanbul, Mumbai, St Petersburg, Marrakech, New York, London and Sydney. 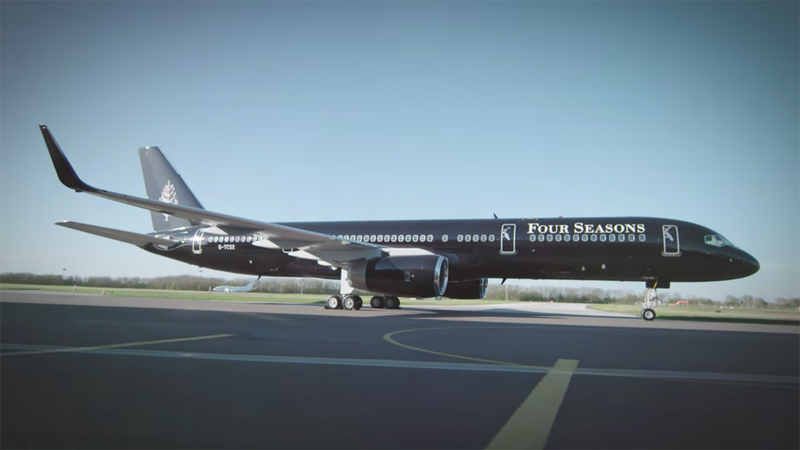 To bring this experience to life, Four Seasons has leased a reconfigured Boeing 757-200ER which features 52 seats, which recline to lie-flat and stretch 6.5 feet. The luxurious white leather seats are designed by Italian designer Iacobucci and offer ample legroom and space. 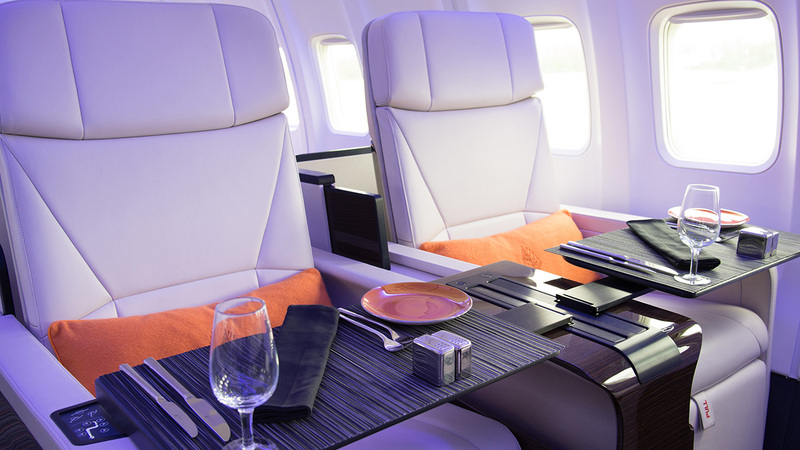 The jet’s livery is metallic black and inside it features LED lighting in calming hues such as white, violet and blue. Each Four Seasons flight has 21 crew and staff on board, including three pilots, two engineers, a concierge, executive chef and a “journey manager” aka travel coordinator. When required there is also a physician and photographer. 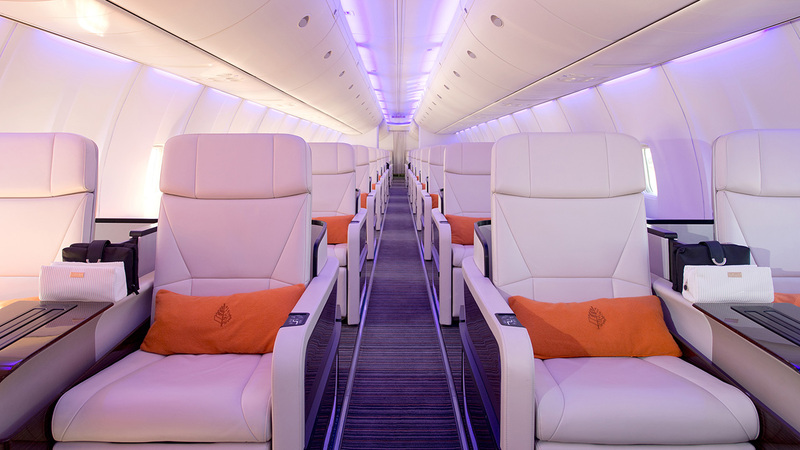 While the Four Seasons has been offering private jet experiences since 2012, this is its first fully branded private jet, which has been configured and fitted out to support the brand’s service requirements. From Bvlgari toiletry kits to Bose noise-cancelling headphones, custom-made Moleskin travel journals and cashmere blankets. Forget about airline food, all Four Seasons Jet meals are cooked fresh in the air after the chef has chatted to passengers to get a sense of what food they want. 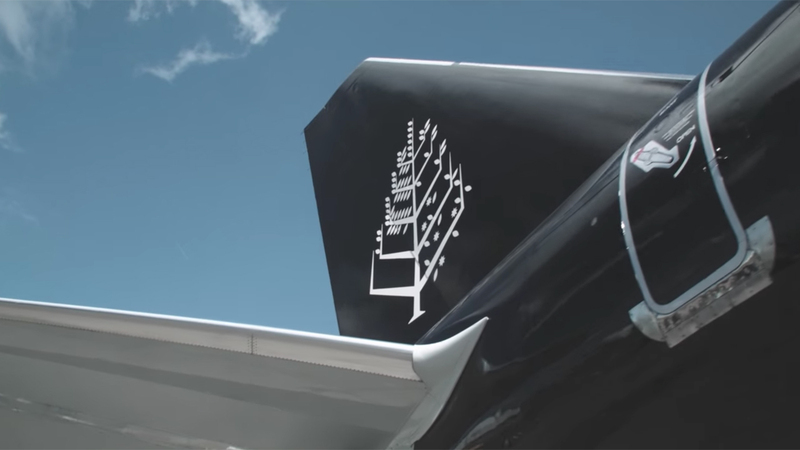 Everything about the Four Seasons Jet is luxury and custom-designed, you need only ask and the staff will make it happen. The Four Seasons brand has been built on a culture of service and quality. However, the brand has only ever owned the experience from the airport to its hotels and resorts, this shift into holiday experiences and air travel is a massive move that is certain to be successful. Hotel service is the last bastion of great customer service, which is lavished upon all in equal measure. Hotels are the ‘home away from home’ they strive to ensure your stay lives up to all expectations and then some. Four Seasons have built their brand on this high level of service, trust and quality for their hotel and resort experiences. Now they are extending this to air travel and continuing to offer that level of service as they fly you around the world. It’s an utterly brilliant idea. Not only does it add another feather to the brand’s bow, but it enables Four Seasons to own your entire holiday experience, from itineraries, visas, air travel, hotels, excursions, Four Seasons is your one stop shop for holiday and travel experiences – that is a powerful position. This is a truly extraordinary achievement for any brand, but it is a logical move. Four Seasons has a legacy of quality and luxury for its hotel and resort experiences, extending this into the actual travel experience makes a lot of sense. As air travel becomes more and more accessible and commoditised, there is a need for more special and luxurious air travel experiences. The commercial airliners are rushing to offer luxury experiences to passengers with brands such as Emirates and Etihad offering private cabins featuring bedrooms, bathrooms with showers and loungers to first class passengers. There is obviously a huge market for luxury travel but why travel commercial when you can go private and received an entire custom-designed trip? We know there is a huge market for this sort of all-inclusive travel – it’s one of the key things people like about Cruise ships – time poor people are increasingly attracted to offers where everything is taken care of and you need only turn up and enjoy the experience. Four Seasons have found the perfect way to combine this convenience with luxury and wrap it up in a superb travel experience. It also reinforces the brand’s positioning as a leader of excellence in service, quality and luxury and helps Four Seasons to grow its brand in a new and natural direction. Just brilliant.